In their public statements those in the political firmament close to the president spoke with confidence that the dissolution of parliament was still far off. Some even said that parliament would only be dissolved next year nearer to the April 2016 deadline for the term of parliament to end. But the long anticipated dissolution of parliament finally took place last Friday. It ended weeks of uncertainty that saw financial markets plunge, economic investments being put on hold and the slowing down of investigations into the alleged acts of corruption and violations of law by members of the former government. But still when it happened, the dissolution of parliament took even the president’s close associates by surprise if anecdotal evidence is to be believed. The sequence of events shows that President Maithripala Sirisena took the decision to dissolve parliament after it became evident that his desire to see the 20th Amendment obtain the approval of parliament was not going to materialise. The ethnic minority parties took umbrage that the 20th Amendment did not take their concerns into account. It was the ethnic minority vote that enabled the president to defeat his opponent who had sought to win the elections on tide of ethnic majority nationalism. President Sirisena acted according to his publicly stated view that Sri Lanka is a multi-ethnic and multi-religious country, which means that the consent of the ethnic and religious minorities too is necessary when fundamental change is being contemplated. However, it is also significant that the president decided to dissolve parliament after a secret meeting that is reported to have taken place with former president Mahinda Rajapaksa. The former president has been projecting himself as the opposition leader best suited to win the votes of the ethnic majority and thereby lead the opposition to victory at the general elections. On the other hand, the president has made it clear that he would not permit the former president to contest the general elections from within the SLFP or the larger UPFA alliance, both of which the president heads by virtue of being president of the country. It is likely that the failure of these secret talks propelled the president’s decision to dissolve parliament. In deciding to hold early general elections rather than seek to work in tandem with the former president, President Sirisena has shown that he will stick to his promise of good governance. The president’s willingness to give priority to good governance over partisan interests in power is a testament to his statesmanship. The early dissolution of Parliament due to the political deadlock between the government and opposition means that most of the unresolved issues that existed prior to the presidential election continue to be relevant, such as the need for a Freedom of Information Act which was one of the casualties of the government’s lack of a parliamentary majority. In addition, the main conflict that Sri Lanka has grappled with since its independence, the ethnic conflict, remains unresolved. The brief lived UNP-led government gave an indication of the progress that is possible in taking the country in a new direction in terms of conflict transformation. In particular, the lifting of the fear psychosis that held society in thrall and the steps towards the reintegration of the ethnic and religious minorities into the mainstream of society were virtually instantaneous, due to the shift in the policy and outlook of the new president and the government. They have publicly acknowledged the multi ethnic and multi religious nature of the polity and the value of adhering to internationally recognised systems of good governance. Election campaigns provide the greatest opportunity for public education. It is necessary that the political leaders who seek genuine change in the country should address the key issues that Sri Lanka as a country needs to resolve. These are the issues of a just political solution to the ethnic conflict and the dealing with the problems of accountability for war time violations of people’s rights. These are sensitive issues and for that reason the resolution of these problems must be done in consultation with the people and not by ignoring or bypassing them. But the tendency of politicians who are contesting elections is to play safe and not address controversial issues. As the president is not contesting the elections himself, he can be the great educator so that controversial solutions are not sprung on the people after the elections. At the presidential election held in January, the president promised to change the system of governance and to ensure that the type of massive corruption and abuse of power that took place during the previous government would not be permitted to continue. Indeed, the president’s commitment to reform was evident when he reduced his own powers of presidency by championing the passage of the 19th Amendment. 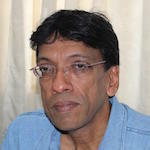 However, if the president were to have agreed to make the former president whom he accused of massive corruption and abuse of power, to contest as the champion of either the SLFP or UPFA as demanded by the former president and his supporters, it would mean the end of any sort of accountability for the crimes and abuses of the past. The lack of effective action in recent days against those accused of massive corruption and abuse of power by the law enforcement agencies is likely to have been caused in part by the growing concern about the stability of the government. The police and bribery investigators need to feel confident that those they are prosecuting today do not become their bosses tomorrow. They also need to know that those who are in positions of political power today will be there to protect them tomorrow. The refusal of parliament to appoint the Constitutional Council which is the body vested with authority to select the members of the Bribery Commission, would also be a reason for the lack of action to bring those accused of financial crimes to justice. A later dissolution of parliament would also have been decidedly unfavourable to the UNP which has been heading a minority government for the past six months. The government was giving an increasing impression of being impotent. The shock defeat that it experienced in parliament when it sought to increase the limits of government borrowing in April, seemed to have made it lose confidence in taking more difficult legislation before parliament. The right to information act got stalled and did not pass. The uncomfortable logic that the government had to face was that the opposition in parliament was several times larger than itself, and had long ceased to cooperate with it. The strengthening of the pro-Rajapaksa faction within the SLFP made it difficult for the government to pass legislation in parliament. It therefore appears that the dissolution of parliament was done to to stop the strengthening of the regressive element within the SLFP. More and more, it looks as though Sirisena is the outstanding man in the country. Many are impatient with the slow pace, but this is the way to stay the course. If the desired outcome is that decency and good sense are to prevail, unnecessary passions should not be aroused. The pace of events must be slowed down, so that people actually begin to think. The time to assess today’s achievements will come much later. It was good that the Parliament comprising crooks are dissolved. Now, the people have another opportunity to elect crooks based on their IQ and Common sense. It was a question of fair representation. The 20th amendment attempted to marginalize a segment of the voters. However, for last couple of months, no decisive decisions were taken. The Crooks, Mahinda Rajapaksa, Gota, Basil an, Shiranthi and Namal are still at large along with the other crooks and criminals. The President has become a wimp. He Should NOt give Nominations to Mahinda Rajapaksa, Gotabaya Rajapaksa, Basil RajapaksA, Namal Rajapaksa, and other crooks and ask them to form their own Paraty, Medamulana Crooks, Robbers and Party, M-CRAP. He has to learn to shoot, instead of just talk. As always a good article. We have a good ‘low profile’ President in Maithripala. Why don’t professionals like you join him? Thus far Sirisena has delivered very little to the Tamils under the boot of the army. The author has been an apologist for Sinhala nationalism for far too long. These next elections will prove pivotal for Sri Lanka. Either Sirisena will get a mandate and there after there can be no excuses for not delivering freedom and justice to the Tamils or the nationalists will win and the only future for a liberal sri lanka lies in the hands of the international community. No doubt the author will find some apologist position in any circumstance. I think that it’s neck and neck between the Sirisena and MaRa factions of the SLFP, and from what I have said above it should be obvious that I consider Maithri to be the man for Sri Lanka. Some Court Rulings could prove pivotal. However, the simple truth is that the UNP will emerge as the largest simple party, despite Bondgate. I also feel that Tamils should not give up totally on the JVP – and they, too, will garner quite a bit of support. Yes you can praise the president. But the people who were promoted by you and who were appointed by the president to carry forward good governance and reform have let him and you down badly. Has he made the wrong choice? Why don’t you comment on the bond scam? What is your responsibility as an NGO promoting good governance now? The People wanted a clean up. He did not fully clean up, just talk. Maitripala Sirisena, does not have the huts and spine to make presidential decisions. He has become a wimp. Let’s ee if will give nominations and what Mahinda Rajapaksa is asking for. Ask Mr. Sirisena to tell Mahinda, I will not give nominations to you, because you all are corrupt, and if you want nominations, form your own party, M-CRAP, just like Somawansa did. and contest. Ask him, Mr. Maitripala Sirisena, not to fall victim to Chatiu and amana Mara. President cut the Gordian Knot through dissolution, to avoid disintegration of the political formation thrust into governance. It is a necessity to dissolve the parliament. President Srisena cannot bring on changes alone. He need the support and goodwill of the people and its representatives (Parliament). As it is Mahinda & Co is controlling the parliament and they are against the good governance. This cannot go on. So, it is the correct decision. President Srisena gave an opportunity to those in SLFP to make a choice between good governance and bad governance. Unfortunately, most of them did not want to leave bad governanace. So, he made a good decision to ask the people to elect the candidates go will assist him on his programme of good governance. However, it is the opportunity to all those who are interested in good governance to educate the people and provide all necessary information and guidance to elect the correct people who can make change. I am sure people have the education and capacity to differentiate between good governance and bad governance. It will be sad if Mahinda does not become the Prime Minister. He is a hardworking, enthusiastic and charismatic leader Sri Lanka ever had. He could have been careful on few issues during his term as President. He learnt a bad lesson on 8/1 and if he is elected as Prime Minister he will be mindful of his past failures and put them right this time. I state this after meeting him before 8/1 election and understanding his thinking to resolve the national conflict. But unfortunately he has some reservations about the Muslim leadership as he innermost don’t trust them. You see I have to mention these things below. Recently the University of Peradeniya graduates held an annual function in a city. Tamils graduates were not informed or invited. recently there was a RTA in which a Sri Lanka family was involved. a child died and the parents critically injured. They have no known friends or relatives in the city and no one to help them in their agony. some members of the majority community came to know about this case. Any how they passed the message to the minority community but they did not do more than this. What does this shows? How far Are we separated in minds and action? Are we amusing on each others’ suffering ? is this realistic as told by JRJ. So who is separating whom? As we are concerned to each other don’t we have human sympathy to each other community. Still base our concept and love on epic Gamunu and mahanama stories? Again, not surprisingly, gobbledegook and balderdash from a person who makes his living through a NGO financed by imperialist west.